A hamper packed full of festive Christmas treats. Your recipient will enjoy the finest milk chocolate Santa's, delicious spiced biscuits and more. Festive fun in a hamper! 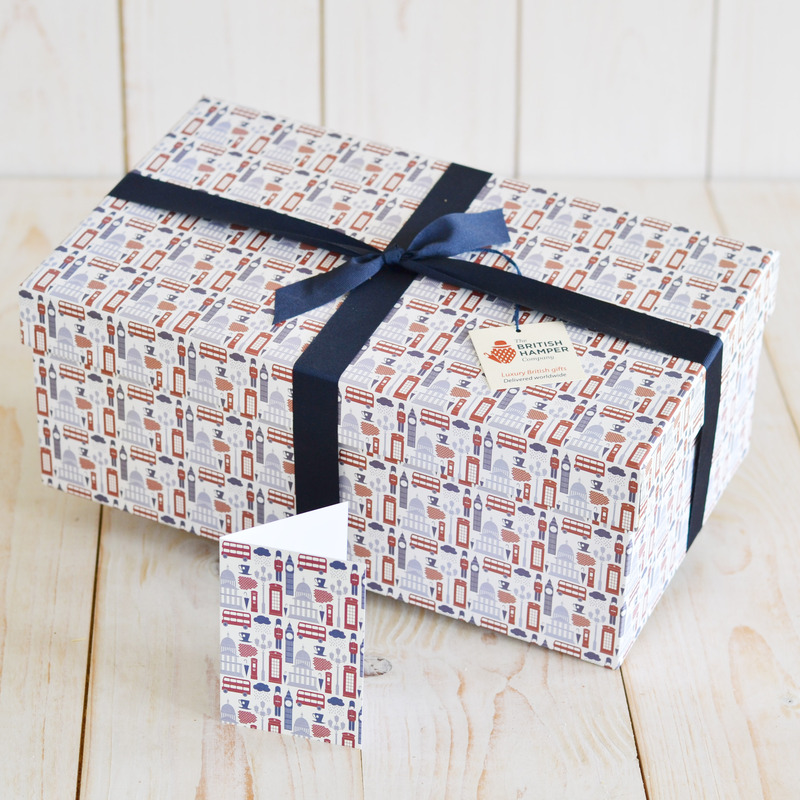 The delicious British food will be beautifully presented in our bespoke British motif gift box, which is hand tied in ribbon and delivered with your personalised gift card.